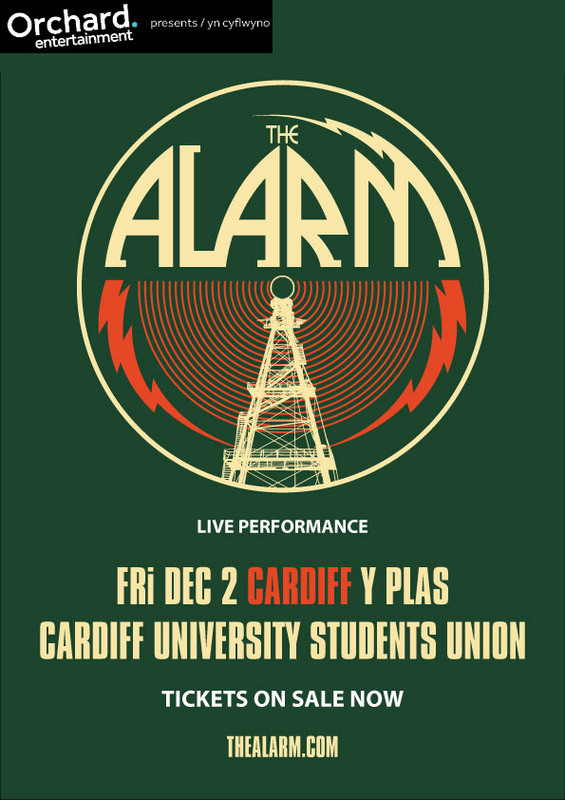 Mike and the band are currently on an 18 date nationwide tour as special guests of The Stranglers and the Cardiff show on December 2nd follows on from the triumphant and emotional 30th anniversary show at the Wales Millennium Centre last autumn, the world premiere of Poppies Falling From The Sky, which was screened at Chapter on St. David’s Day, and of course, Mike’s ongoing battle with Leukaemia. 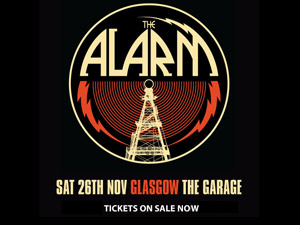 The Alarm of 2016 is a versatile modern assembly of musicians beginning and ending with founder member and lead singer Mike Peters and featuring long time keyboard player Mark Taylor with James Stevenson on guitar, Craig Adams (Bass), and Joe Strummer and The Mescalero’s former sticksman Smiley on drums. 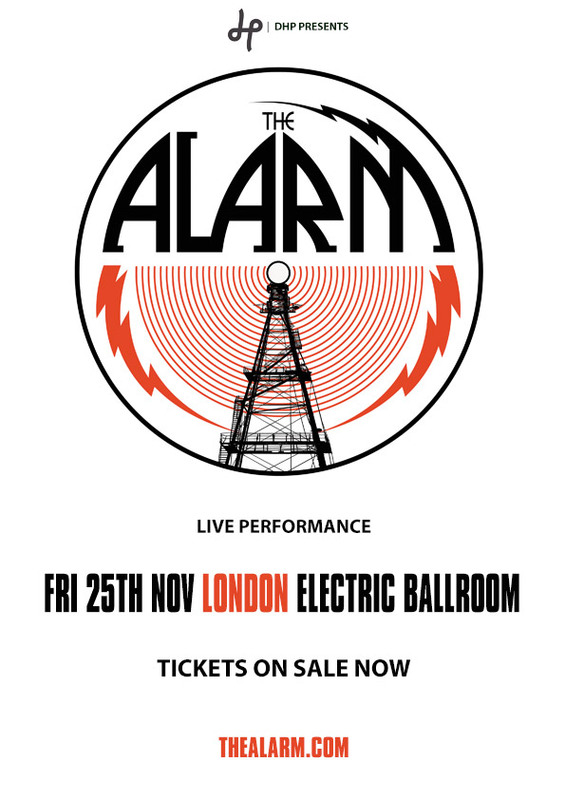 NB: Paul Davies (the drummer who performed with the band on many shows during the ‘Release The Pressure’ tour) will be sitting in for Smiley on November 25th and 26th. 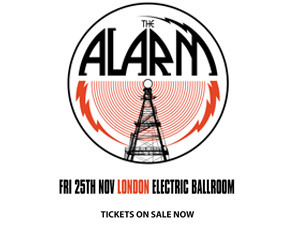 The last two years has seen a resurgence of interest in all things ‘Alarm’ following lead singer Mike Peters unique one man band presentation of the groups electro-acoustic origins. A remodelling of debut album ‘Declaration’ in 2014 was followed by a second reinterpretation of 1985’s ‘Strength’ a year later, that resulted in an 18 date sell out UK tour and six night stand at the Iridium on Broadway, New York as well as dates in Japan and Australia. 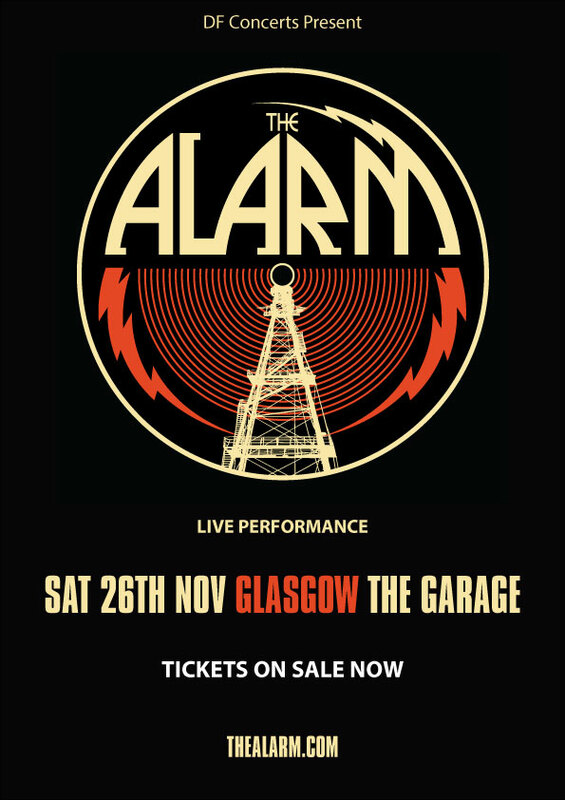 Mike Peters and The Alarm plus special guests will come home to play the Wales gig in December after performances at London Electric Ballroom November 25th and The Garage, Glasgow on November 26th.